For Shane, relationships never came easily, until he met Ainsley. Beautiful, smart and unique. Almost the perfect girlfriend. Too bad, she’s not human. In Turing Test Girlfriend (#5), undercover agent Shane O’Ryan allows himself to be imprisoned by the leader of the amber-eyed gang, a mysterious organization that has twice tried to kill him. Shane needs to uncover the gang’s origins and its home planet. His partner Ainsley is a shape-shifting android created for undercover work. Legally she is just property, even though she is a sentient being who can rationalize, moralize and experience pleasure. Ainsley’s attraction to Shane snaps her out of her lonely, one-of-a-kind isolation. Her growing emotional spectrum defies her programming. She begins forming an emotional bond. Shane concludes that Ainsley is a species of one, a person entitled to the same Charter rights as any intelligent entity. He must first escape the clutches of the gang, and then somehow convince the four leaders of the Confederation to emancipate Ainsley. 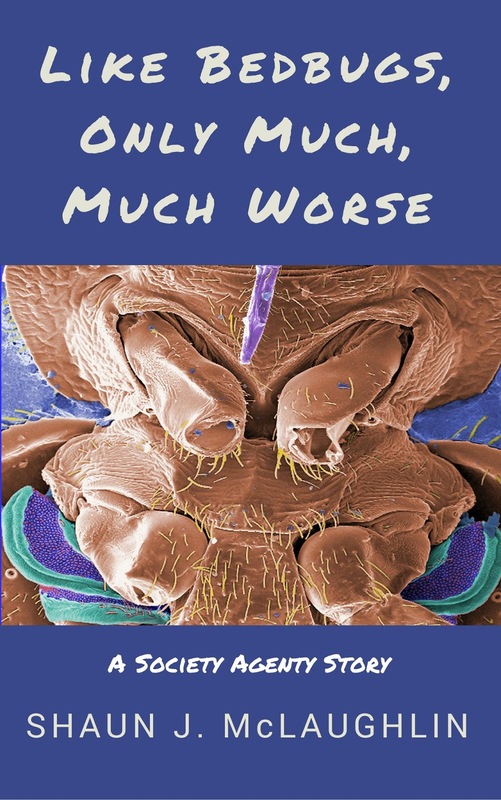 In Like Bedbugs, Only Much, Much Worse, undercover agent Shane O'Ryan teams up with an attractive and quirky scientist, Dr. Chloe Kelly, to solve a legal conundrum. Individual members of a low-level organism deserve no Charter protection, but in groups, the bugs become a distributed computer network. Their collective intelligence is a square of their numbers. They have only one goal—eat anything that moves. Intellect without morality is terrifying but it is still intelligence that must be protected. How can Shane defeat the bugs that have decimated a farm colony without wiping out the species and do it before the military resorts to mundicide? 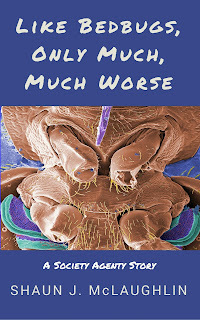 This novelette is available on Amazon, and Smashwords and its affiliates. The Society Agent series continues. Flawed Pearl, the third installment in the Society Agent series, takes undercover agent Shane O’Ryan to New Tahiti. Tourist ads describe it as a perfect pearl. Shane’s mission: expose the planet’s impure, gritty core. Every pearl has one. Mysterious investors built the colony in defiance of laws designed to protect intelligent indigenous species. The one man who gathered evidence died of a knife in his heart. 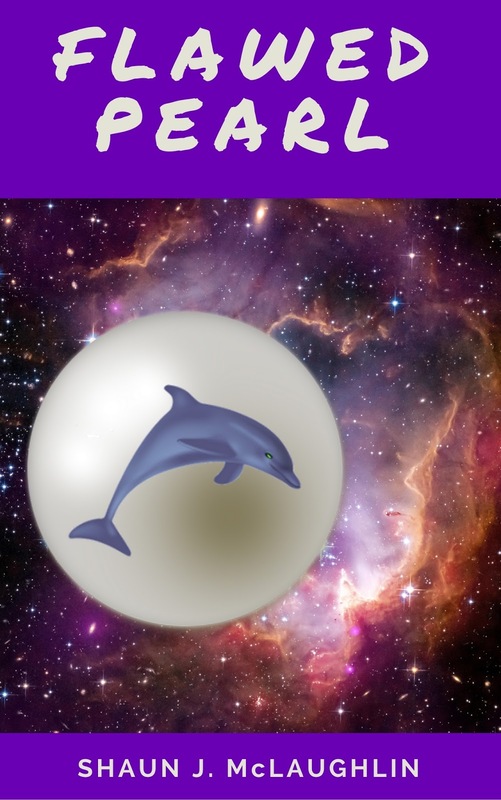 Shane needs to prove two aquatic species are the lawful masters of the planet, and he must identify the main conspirators before he becomes the next victim. And maybe win Karol's heart along the way. This novelette is available on Amazon, and on Smashwords and its affiliates. 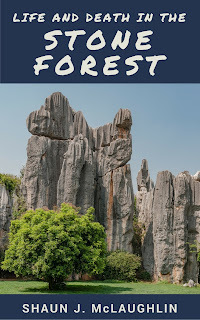 Life and Death in the Stone Forest continues the adventures of Shane O’Ryan. For his first assignment as a graduate agent, the Society sends him to a dusty planet deep in the M4 globular cluster. An ancient race of alien artists is dying out. The scientist sent to discover why disappeared. Shane’s assignment: solve both mysteries. 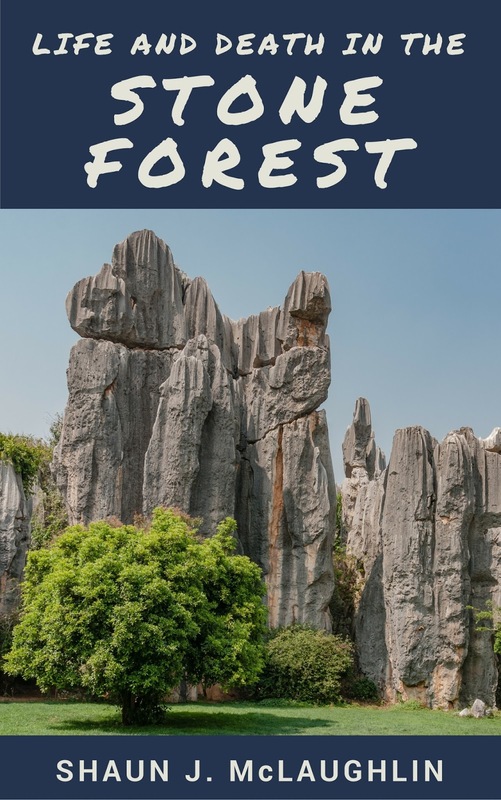 His journey takes him to Karst, an economic backwater run by a misogynistic and ruthless autocrat. Among the magnificent dolomite spires of the planet’s remote mountains, Shane uncovers a metamorphosis unlike any in the galaxy. He risks his life to stop human predation of a sentient species. And, he befriends what may be the oldest advanced race in the Milky Way. This sequel to Final Exam is available on Amazon, and Smashwords and its affiliates. The Society Agent series continues. In December 2016, author Shaun J. McLaughlin published the first novelette, Final Exam, of a new science fiction series. All novelettes in the series are available on Amazon, Kobo, Nook, iTunes and Smashwords and its affiliates. Look for reviews at Amazon and Goodreads. In October 2017, Final Exam became a perma-free ebook at the major ebook retailers. Dark Southern Sun, the second novel in the Ryan's Journey series, is now available as an ebook on Amazon and Smashwords, and as paperback at Amazon, CreateSpace, and elsewhere. For a pictorial guide, see the novel's Pinterest board. Dark Southern Sun, picks up where Counter Currents left off and takes place entirely in Australia. 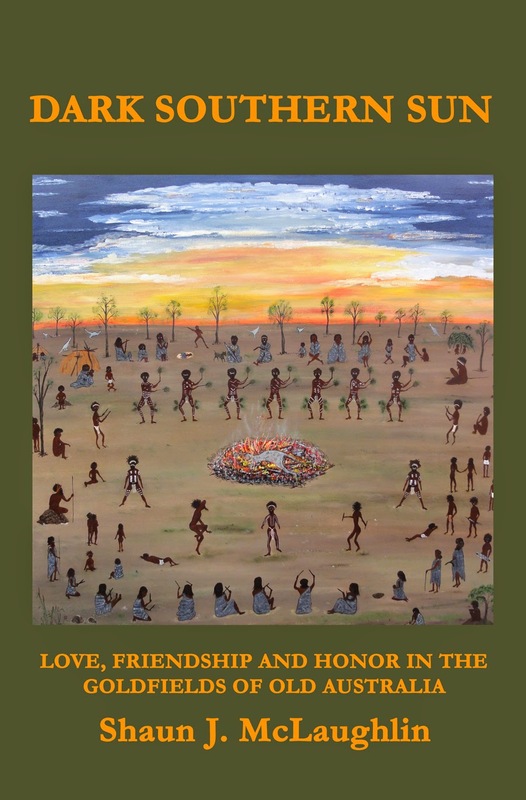 It is a tale of love, friendship, and honor in the goldfields of old Australia. Ryan washes up on the southern shore of Australia near death in 1845. Rescued by two Wathaurung native children and nursed to health by their parents, his life and theirs are entwined through good and sorrow for the next ten years. Set against the historical backdrop of Australia’s formative years, Ryan witnesses the displacement of the Aboriginal people, and he faces the chaos of the world’s largest alluvial gold rush and the bloodshed of Australia’s only armed uprising. Throughout, two very different women—one white, one black—tug at his heart as he struggles from penury to prosperity. As he rises in social esteem as an astute businessman and cunning street fighter, Ryan creates two bitter enemies—one white, one black. In time, they set aside their vast racial and emotional hatreds and combine forces. Can Ryan survive their vicious attempt to destroy him and save the good life he has built? The cover art is by Wathaurung elder Marlene Gilson, who also reviewed the novel for cultural accuracy.